I once tasted a Georgian wine that had over 400 grape varieties blended into it. If ever there was a declaration of the symbolic desire to preserve a multi-faceted grape patrimony this was it. Symbolism is not only important – it often goes hand-in-hand with dedicated “grape-culture” rescue missions. 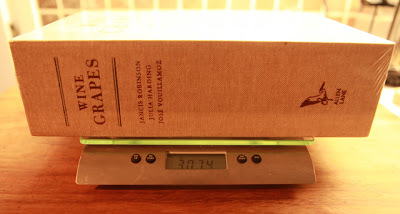 Several regions throughout the world have spawned their own local grape archivists. In Gaillac, for example, celebrated vigneron Robert Plageoles notably grubbed up his Sauvignon Blanc vines a few years ago, replanting with various types of Mauzac (vert, rose & noir) as well as the indigenous Prunelart, Ondenc, Muscadelle, Duras and Braucol. The wines made from these varieties were (and are) not necessarily commercial, but then that was hardly his overriding concern. Plageoles was reacting to the fact that a region, rich in vinicultural heritage, that has been growing grapes since Roman times, had been virtually colonised by a single variety. Each grape variety that puts down roots restores the natural diversity. Thierry Navarre, meanwhile, has resurrected the forgotten Oeillades and the equally henstoothsome Ribeyrenc (also known as Aspiran) in his beautiful, organically-farmed vineyards in Roquebrun in southern France. He describes these as les cepages oublies. Over in the forests of the Sologne, arch-terroirist and rule-flouter extraordinaire Claude Courtois works with historic Gascon, Romorantin and Menu Pineau, but also composes secret field blends in his cuvées called Racines and Nacarat. If you ask which outlawed varieties might feature in these particular wines you will be met with the deadest of dead bats, for grape patrimony is not always about teasing out and isolating the individual varieties but using them in conjunction with others to express a certain inalienable truth about the terroir. The Savoyarde Gringet has been preserved by Domaine Belluard in Ayse, whilst on the other slopes of Mont Blanc the vine growers of Val d’Aosta and Switzerland are flying the flag for aboriginal grapes by continuing to making wines from Prié Blanc, Petite Arvine, Cornalin, Fumin and Humagne – to name but a few local denizens. In other regions old treasures are being dusted off and unveiled again. Albarino introduced us to the charms of Galician wines, and further investigation has since revealed the identities of further intriguing local heroes – Loureiro, Treixadura, Caino Blanco (& Tinto), Albarin (no relation), Lado, Torrontes, Souson, Brancellao, Mencia and Godello. Some relatively commonplace, some rare, some singly, others in blends, their mere existence enhancing the reputation of the region for wine diversity. Georgia, meanwhile, boasts 540 grape varieties, 8,000 years of winemaking including the ancient tradition of making wine in qvevri. Some of these more obscure varieties may be a trifling footnote in the annals of wine encyclopaedias, but their continued existence serves to make us re-evaluate the historical, cultural, critical and commercial contexts in which grapes are grown. Georgia possesses a natural wine culture where diversity is cherished. This contrasts strongly with the strictly mono-commercial approach where the grapes are grown for the express purpose of making wines with a clear varietal identity. In the way that humans like to impute value to systems and impose hierarchies of taste certain arbiters have determined that some grape varieties are inherently more aristocratic than others. Hence, Cabernet Sauvignon, Merlot, Chardonnay & Riesling have enjoyed noble repute, whereas, Carignan, for example, was long judged to be a base grape only capable of making base wine. Associated with vatted plonk du midi, dismissed cursorily by famous wine writers (you know who you are) as “a workhorse variety”; “not capable of greatness”; “should be grubbed up in favour of Syrah”; “the bane of the European wine industry” and “only distinguished by its disadvantages”, Carignan was truly one of the mal-aimés. In fact, Carignan was (and is) peculiarly suited to the Catalan wine-growing country (and, more generally, to warm Mediterranean climates elsewhere). Hardy low-yielding bush vines with deep root systems penetrating the bare rocky soils yield grapes with the substance to make interesting, terroir-driven wines. A few years ago some growers grouped together to extol the virtues of wines made from this grape, (www.carignan.com) and, in time, wine writers began to concede that Carignan was much more than a honest dobbin and was capable of producing splendid results in the right hands and with the right methods. The appellations, however, have yet to catch up with what’s going on. Vin de France has (by default) become a means of protecting disappearing indigenous varieties that aren’t allowed in several of the AOPs. Whereas the Châteauneuf-du-Pape appellation may sanction the full thirteen, in Jura, a wine made by Jean-François Ganevat, with 17 historic local grapes may only be accorded humble Vin de France. In Corsica Comte Abbatucci blends from some 15 indigenous varieties saved from abandoned vineyards. The grape and the wine is no less for not being granted AOP – what is surprising is that typicity and originality are not recognised by the authorities as the role of appellation is surely to defend the best of origin and that which is historically proven to work. Grapes are less important than the place in which the vines have their roots and the sensitive winemaking that brings out their flavour potential. One grape variety can draw on the energy of a locale and bring that to life. Conversely, you can buy cheap white wines which claim to be made from Fiano and Greco, for example, and they will taste exactly the same as Cotes de Gascogne, or Pinot Grigio. The country, let alone the region of origin, let alone the varietal, is less important than the oenologist who can flatten anything to fit the price point. When yields are high, methodology is all important. Increasing homogenisation means that distinctiveness is seen as less relevant than pleasing neutrality. The vogue for trends means that certain grapes gain favour and are found homes outside their natural habitat. New Zealand Albariño – check; Australian Assyrtiko – check; Chilean Riesling – check – yet one returns to the origins of these varieties one understand that special climatic conditions and soil types are responsible for the unique flavours in the wines. 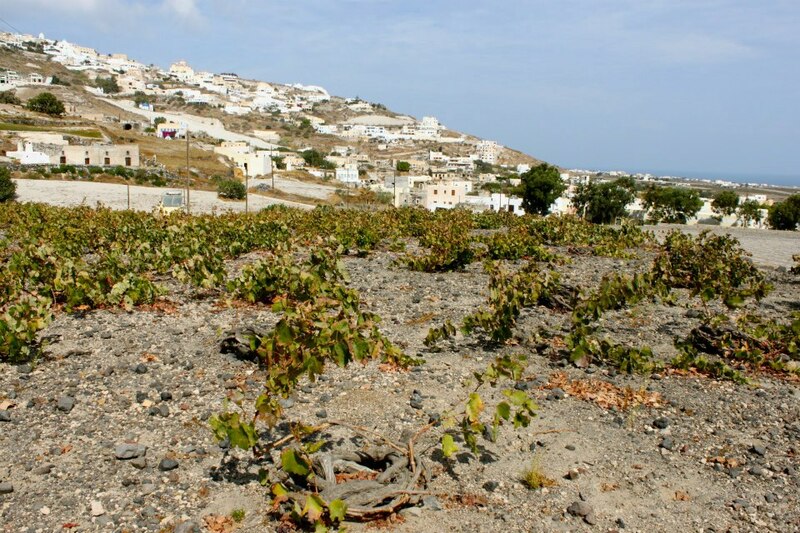 Would Assyrtiko be so interesting if it were displaced from the volcanic ash soils of Santorini? Over to Stefano Bellotti: “but thanks to a senseless agronomic method, works at 60 cm… – because today vines work at a depth of 50-60 cm., depending on the soil – they’ll obviously lack everything that makes a grape a grape, or a Cortese a Cortese, etc. So, you have to reconstruct in the winery tastes which are more or less recreated and standardized. That taste the same everywhere. The fashion in the ’70s for white wine in Italy, that continues today, brought a standard definition still adopted by the DOC commission of every region in Italy for white wine: “pale straw colour with green highlights.” “perfume of fresh fruits and godknowswhat flowers.” Sommelier’s descriptions are all the same. 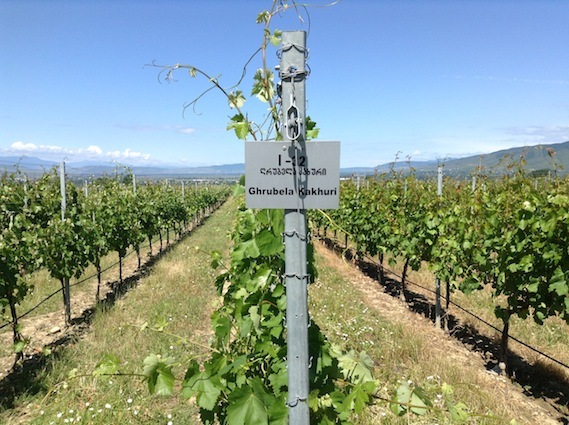 I died laughing the other day when… Corrado described the official descriptors for Verdicchio and it was identical to the ones for Gavi here. It is not just the AOPs that are to blame for certain varieties never falling into fashion. Critical stereotyping seems to occur when there are no obvious standard-bearers for a grape variety. Wine drunk mainly by locals is viewed as having mere quaint yokel value. The Melon de Bourgogne grape, for instance, was derided because Muscadet itself (the wine produced from Melon) was derided. Commercialisation of the product and turning it into a low-rent brand didn’t help the image – Muscadet’s sole function on supermarket shelves was seemingly to hit a price point. It was, to use, our favourite cliché, a product for a purpose, and when a wine does not need to be any better than it is, there is no reason to improve its quality, or for critics to reassess its potential. Single-minded craftsmen, however, are able to transform the humdrum into something special. With growers such as Pierre Luneau, Jo Landron, Guy Bossard & Marc Ollivier identifying the best terroir, working organically, hand-harvesting the grapes (with resultant lower yields), allowing the wine to spend time on the lees for extra complexity and texture, Muscadets were produced that had an extra satisfying dimension and so the stature of the Melon de Bourgogne grape has been elevated by several notches. As for historically-bullied Gamay, consolidating its reputation has taken considerably longer. Here a little history is relevant to understand the lack of snob-appeal of this variety. The Gamay grape is thought to be a mutant of the Pinot Noir, which first appeared in the village of Gamay, south of Beaune, in the 1360s. In contrast to the Pinot Noir variety, Gamay ripened two weeks earlier and was less difficult to cultivate. It also produced a strong, fruitier wine in a much larger abundance. In July 1395, the Duke of Burgundy, Philippe the Bold, outlawed the cultivation of Gamay as being “a very bad and disloyal plant” due in part to the variety occupying land that could be used for the more “elegant” Pinot Noir. 60 years later, Philippe the Good, issued another edict against Gamay in which he stated the reasoning for the ban is that “The Dukes of Burgundy are known as the lords of the best wines in Christendom. We will maintain our reputation”. The edicts had the effect of pushing Gamay plantings southward, out of the main region of Burgundy and into the granite based soils of Beaujolais where the grape thrived. Gamay came a special over-cropper during the mass-production of Beaujolais Nouveau in the 1970s & 1980s. The outcome? Yeast-cultured, sulphur-heavy bubblegum juice with that bore little relation to wine and consequently badly undermined the reputation of the entire region. Growers such as Marcel Lapierre, Jean Foillard and George Descombes understood the true nature and potential of the grape, and began to make better wines accordingly, and they in turn influenced a whole new generation. And then is the Trebbiano d’Abruzzo from Edoardo Valentini, a man once known locally as the “Lord of the Vines.” This resolute old-timer disregarded all modern conventions and wrapped his operations in a shroud of mystery, fervently guarding his production techniques from outsiders. His Trebbiano took on uncommon colours, aromas, depth, complexity, and ability to age. Valentini’s wines display a startlingly natural character, their individual quirks only enhancing their profound charm. Edoardo Valentini’s Trebbiano d’Abruzzo seems to hail from another planet; no-one has a clue why the wine is the way it is – we’ve found that its optimum drinking period is 10-15 years from vintage. Francesco, Edoardo’s son, expounded his theory to us. In the 1950s with the industrialisation of the Italian wine industry the Trebbiano Toscana was imported into Abruzzo to supplement the local version. Being a more robust, high-yielding variety with bigger grapes it eventually entirely replaced the indigenous Trebbiano of Abruzzo (and thus became known itself as Trebbiano d’Abruzzo). The Valentini family, using records dating back to the 1860s, discovered the properties of the original Trebbiano and using massale selection (over a period of 40 years!) in one vineyard of 2.5 hectares have essentially recreated the old Trebbiano with all its unique qualities. 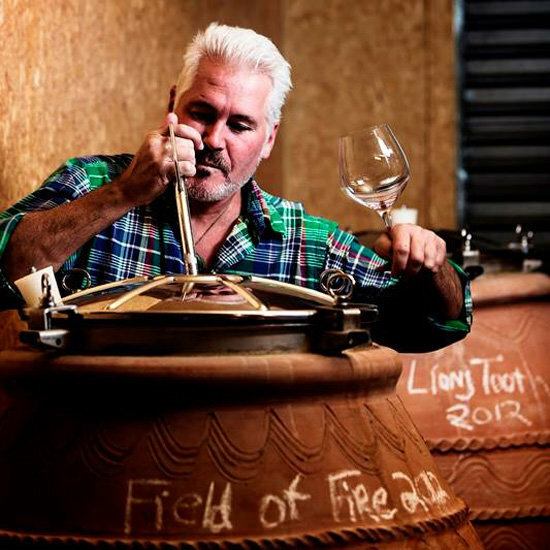 Indigenous grapes, the channelling of terroir, espousing singularity and identity, the rediscovery of traditional techniques (of farming, of winemaking), all give colourful diversity to the often-monochrome world of wine where commercial relevance and reputation are continually bruited. The grape variety itself is one small element in a larger picture. Respected, and linked to its place of origin, its purpose is more than a functional “varietal”, it is that which provides cultural variety, embodying the very specific DNA of the locale and the growing season. This process of transmission is important – the grape provides the juice, but imprinted on its skin and in its very substance is a record of the vintage and (we hope) the place itself. Remove this and then the grape variety is an incidental, the juice-provider ready to be manipulated into a commercial product. Next post: Doug Decants: The natural Burgundies of Domaine Ballorin and other news!